Nat Raum is a multimedia artist working primarily with photography, printmaking, and bookmaking. She graduated from the BFA Photography program with a studio concentration in book arts at Maryland Institute College of Art in 2018. She is currently based in Baltimore, MD. 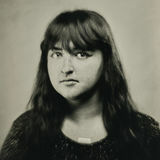 Nat's work has been exhibited at venues such as Davis Orton Gallery, the Midwest Center for Photography, The Museum of Human Achievement, and the Griffin Museum of Photography. She has self-published two artist books and was published in Femme Fotale's Volume V: Resistance, Resiliance, and Hope.